The British army is considering pulling out of Kenya. The decision will be taken later this month after the UK Chief of General Staff Gen. Nick Carter, born in Kenya, visits the 3rd battalion of the Paratroop Regiment that is presently training in Archers Post. The British Government is likely to give Kenya a ‘yes or no’ ultimatum to decide whether they want British military co-operation or not, with a final decision to be made in London by the end of November. The crisis is caused by KDF’s insistence that the British army should not train on any private land and should restrict its operations to the KDF land at Archers Post. This is likely to be unacceptable to the British, although they are still hoping that the problem can be resolved diplomatically. The British expected that the Defence Cooperation Agreement signed in December 2015 entitled them to train in Laikipia as well as Archers Post. Laikipia offers a more varied terrain and is cooler than the hot flat land around Archers Post. The UK’s newly built Sh10 billion base is also in Nanyuki, the capital of Laikipia. Oman is trying to entice the UK to move there for its overseas training and has offered free land and support in exchange for training of its own armed forces. The UK may take up the offer if they do not have continued access to Laikipia. 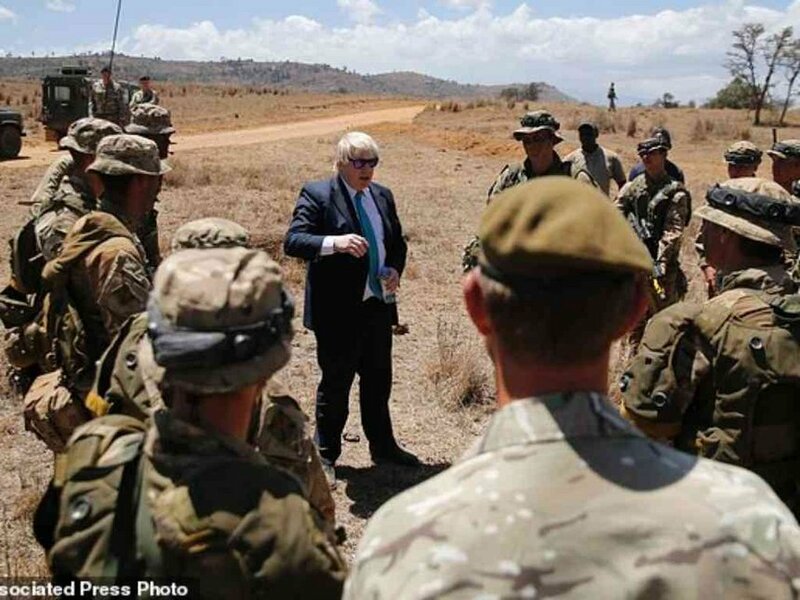 The British Army Training Unit Kenya (BATUK) spends around £50 million a year (Sh6.75 billion) in Laikipia of which around £3 million (Sh405 million) is spent on leases with ranches and rent to landlords in Nanyuki. The ranches pay tax on this revenue to the KRA and Laikipia county. The problem initially emerged in April when the KDF instructed the British to cancel all leases with private landowners. After consent was denied, the Defence Estates department of the UK government then informed ranches and landowners that their leases would not be renewed. At that stage it was believed that this was a temporary issue due to the August 8 election and the insecurity caused by pastoralists invading Laikipia. However, last month, the KDF again informed the British that there should be no training on private land. There was no explanation for why training on private land was not possible. The revenue goes to community ranches as well as private ranches and this may have caused resentment among some KDF officers from northern Kenya. Training by the British army at Archers Post dates back to 1945 and in Laikipia to the 1950s. The Defence Cooperation Agreement with the UK ends in 2021. If the KDF continues to refuse access to private land, the options for the UK will be pull out now, pull out in 2021, or to just accept training at Archers Post. If the UK pulls out, it might also withdraw training support for the KDF including places at Sandhurst and the Royal College of Defence Studies. The British army also helps train the KDF and supplies them with equipment to support operations in Somalia. “Think about what happened in Meru when miraa was banned in the UK. If the KDF does not budge, it will be much worse for Laikipia and Nanyuki,” said a Nanyuki businessman this week.